I was looking through my cupboards to see what ingredients I had to do some baking. I mixed butter, sugar, eggs, flour & vanilla together to make my cake base & then made a simple vanilla buttercream which I coloured half with a red gel food colouring. 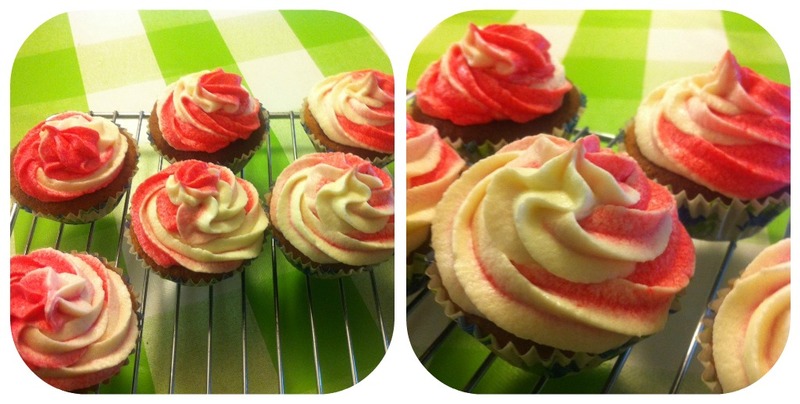 I then layered the icing in a piping bag fitted with a large star nozzle and piped a simple swirl. These look amazing! I really wish I was vaguely capable of baking, but I'm often a disaster in the kitchen.